Cameron House #2 | Historic Jacksonville, Inc. 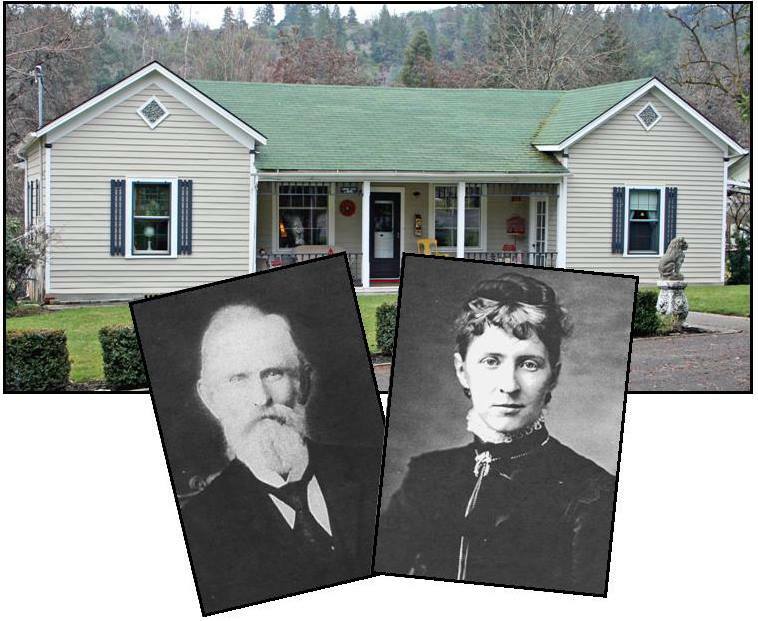 When Theodoric Cameron married the 33-year old widow Mollie Krause in 1892, she already owned the 1-story wood frame dwelling located at 425 South Applegate Street. Cameron had come to Oregon with a brother 40 years earlier. He had mined for 2 years before taking up a donation land claim near Eagle Point. In the late 1850s he operated a bakery at Sterlingville then moved to the Applegate where he resumed farming. 1861 found him again engaged in mercantile pursuits, this time at Uniontown—a venture that lasted over 30 years. In 1872, Cameron opened the very productive Sterling Mine, the largest hydraulic mine in Oregon. He later developed other mines in Galice and Waldo. After marrying Mollie, he managed his various business interests from Jacksonville. Cameron also played an active role in state politics, being elected as State Representative in 1885 and again in 1890, and State Senator in 1896. Despite Mollie being 30 years his junior, Cameron outlived her by 10 years, passing away in 1914 at the age of 85.